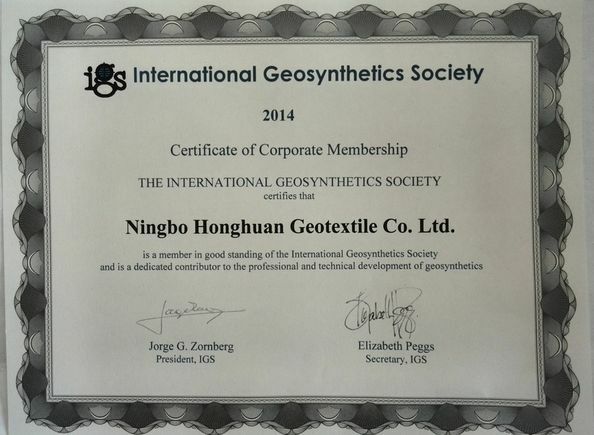 2003.04 Ningbo Honghuan Geotextile Co.,LTD was established. 2003.08 We purchased three set of circular loom machines. they are 4 meter width and 6 shuttles. 2004.03 We purchased one set of 70# wire drawing machine. 2004.10 We purchased another set of 4 meter and 6 shuttles circular loom machine. 2006.10 We add another 2 set of 6 meter 10 shuttles circular loom machines. 2006.11 The turn over of Ningbo Honghuan Geotextile Co.,LTD reached 1.5 million USD. 2008.05 We developed tensile strength 80Kn/80Kn high strength split film woven geotextile. 2008.07 We purchsed 8 meters width and 12 shuttles circular loom machine. 2008.08 We start to export our geotextile to USA. 2009.06 We equipped another set of 90# wire drawing machine. 2009.07 We purchased 1 set of 6 meter width needle punched non woven geotextile production line, together with 1 set of 6 meter width geocomposite production line. 2009.08 We added four sets of 6 meter width and 10 shuttles circular loom machines. 2009.12 Our turn over reached 5 million USD. And we started to produce dewatering geotube. 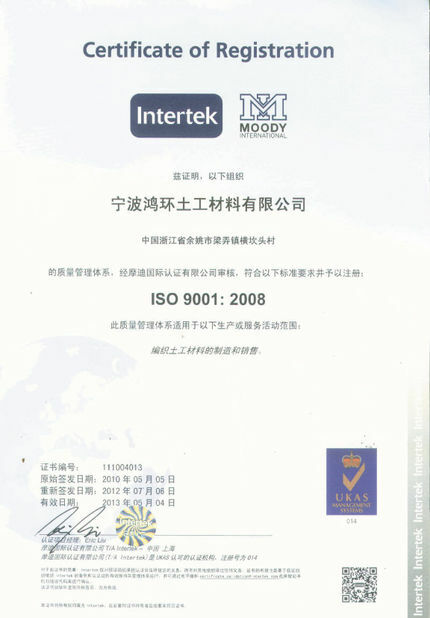 2010.05 We passed the IS9001 quality certification. 2010.09 We developed tensile strength 120Kn high strength split film woven geotextile. 2011.03 We purchased another 2 sets of 6 meter and 10 shuttles circular loom machines. 2011.07 We purchased another set of 8 meters width and 12 shuttles circular loom machine. 2011.12 Our turn over reached 10 million USD. 2012.05 We purchased 1 set of 5 meters width and 10 shuttles circular loom machine. 2012.06 We developed tensile strength 200Kn high strength split film woven geotextile. 2013.11 Yuyao Honghuan Trading Co.,LTD was established. 2013.12 Our turn over reached 12 million USD. 2016.09 We purchase 8 flat loom to spread our monofilament and multifilament woven geotextile category. 2017.10 We invest Shaoxin Lida Nonwoven Geotextile Co.,LTD, Shaoxin Lida has ability to produce PP filament nonwoven geotextile, it will make us competitive in PP nonwoven geotextile business. 2017.12 Our turn over reached 18 million USD. Ningbo Honghuan Geotextile Co.,LTD is one of the professional manufactures which specialize on geotextile. After years of watching our customers having to settle for products that only partially met their needs, we decided to establish Yuyao Honghuan Trading, and started the business of Geomembranes. . , Geogrids, GCL and other geosynthectics products. *We are only specilized in geosynthetic products and especially geotextiles. *We are one of the few manufacturers which have capacity to produce high strength pp woven geotextile in China market. *For any customers who have new idea about some products, just Let us know. We can according to your requirement recommend our suitable product to you and do sample for you. *For any customers who send us samples, we will design and offer you better ones based on your sample. 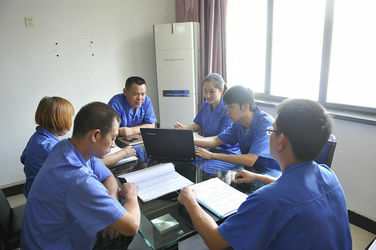 *We have our factory as Our strong backing to guarantee the above service and ensure we have ability of mass production. Mr. Xia Zailong is the company’s founder, the master of Jilin university, has been in Geotextile field for more than 15 years. In 2003, Mr. Xia with 20,000USD in hand, build a factory which is called Honghuan Geotextile Co.,LTD, only 5 workers and 1 weaving machine in that days. After 10 years, Honghuan has 200 workers, 15000 square meters plant, and sales amount reached 12 million USD at 2013. 1. Technical background, emphasize quality control. 2. Willing to develop new products. 3. As a master degree, his business philosophy is win-win mode.